A truly artisanal line of bedding, Aireloom mattresses have become increasingly popular among the rich and famous, from U.S. presidents and rock stars to Hollywood A-listers. Fortunately, you don’t have to be a celebrity to enjoy (or afford) their sublime products, which have been engineered for total body comfort. 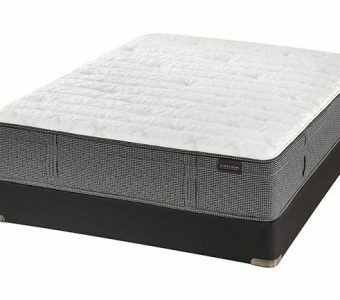 Mattress World Northwest offers a premium Aireloom mattress line that is available exclusively in the Portland area at our 13 convenient locations, including Beaverton, Salem, Clackamas, Wilsonville, Happy Valley, Glisan, and Canby. Years of inspired craftsmanship go in to each of their collections, which feature hand-tufted mattresses made with natural latex, the finest materials, and patented Aireloom lift technology for supreme relaxation. Sumptuous to the touch, each mattress is handwoven with luxurious materials like cooling True-stretch™ cotton infused with silk and wool. Skilled artisans with decades of experience meticulously stitch each mattress together by hand to ensure perfection in stitch and cut. Most of our customers would agree that Aireloom’s elegant cloud-like mattresses exceed their expectations in every way. Besides the finest quality materials and exceptional craftsmanship, Aireloom employs state-of-the-art technology in their double-tempered coils that provide ultimate body support. Where other mattresses flatten or sink in, patented Aireloom lift technology picks you up. Aireloom mattresses feature a specialized chamber between the Pocket-Flex ™ coil springs and the plush mattress-top, so every layer expands to its full potential and maintains peak performance. It’s a difference you can feel the moment you first lie down on an Aireloom mattress after trying out the competition. What is a California design mattress? King Karpen, the inventor of the handmade California mattress, founded Aireloom in 1940. Over the past 75 years, the company has taken the simple premise of refined California comfort to new heights in the quest for the perfect night’s sleep. Aireloom mattresses are made in the company’s California headquarters to this day. According to the manufacturer, Aireloom mattresses “are inspired by the California state of mind and aesthetic.” From the beaches, to the desert, to the mountains, an Aireloom mattress offers a cool and comfortable night’s sleep, no matter where you are. Californians are renowned for their discerning tastes, so you are guaranteed a beautiful, modern-looking presentation when you choose an Aireloom mattress fit for Hollywood royalty. Find out if an Aireloom Mattress is right for you! As an exclusive Aireloom retailer in the Portland, Oregon area, Mattress World Northwest showrooms offer a premium line of Aireloom mattresses that you can’t get anywhere else. Check out the latest models from the expert-recommended Preferred Collection, which delivers innovative design contoured with next generation materials. Feel the future in the smooth TENCEL® New Age fabric. Enjoy the ultimate in temperature control and pressure relief with durable Celsion Latex. Wrapped in patented Aireloom plaid, your custom-tailored mattress is as sleek and refined as you are. Best of all, the Oregon Mattress World Northwest locations offer customers a truly enjoyable, low-stress mattress shopping experience that allows you the freedom to test out a number of mattress makes, models, and styles at your leisure. We are happy to jump in with Sleep Specialist expertise to educate you on the materials and technology that separate one type of mattress from another. Aireloom Mattresses offer more than the competition, plain and simple. Handcrafted in the U.S.A., Aireloom has set the industry standard for over 75 years. We know that feeling is believing when it comes to Aireloom – a mattress that actually synchronizes with your body. Swing by one of our stores today and test drive the best Aireloom mattresses today. We offer conveniently located mattress showrooms throughout Oregon, including Gresham, Washington Square, Jantzen Beach, and downtown Portland.